This article was posted on 15th December 2015. At this time of year we love the excitement of knowing our besties are coming to stay, the dreaded family member (of which we all have at least one) not so much, but the preparation of making your humble abode an inviting home from home can be just as much fun. We're natural nesters and are in our element when it comes to creating a welcome environment for our guests, using our honed experience of primping and preening our many French Bedrooms in our beautiful Victorian house showroom, dimming the lights for the perfect atmosphere and choosing the background music for our many visitors. At home, when we're expecting guests we always start with the basics: hoovering up all those pesky little dust bunnies hidden in the corners and under that lovely French bed; we fling open the windows - there's no greater cleanser than fresh air, even if it is a little bit crisp out there. As a thoughtful touch, for overnight stays, we place a little lavender bag on each pillow to soothe our guests into a blissful sleep. We all love checking into a lovely boutique hotel, so emulating that feel for our friends and family is a way of showing you've put some effort into their stay. We're not talking full concierge service, but being greeted by a beautiful wreath on the door and a lit open-fire is a great start. In the guest bedroom our luxury 400 thread-count white crisp bed linen sets the scene perfectly with a soft throw for nippy moments during their stay. 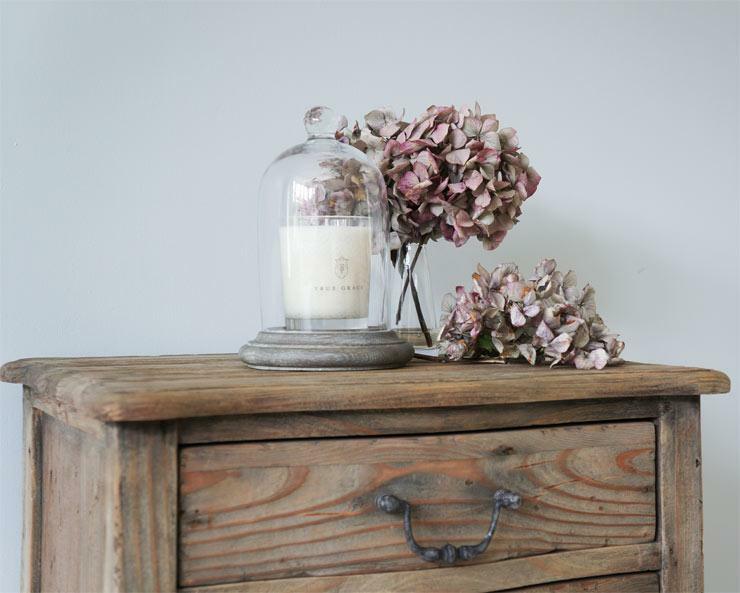 A scented candle on the bedside table, a carafe of fresh cucumber infused water and a vase of seasonal flowers on the French-style chest of drawers makes all the difference. 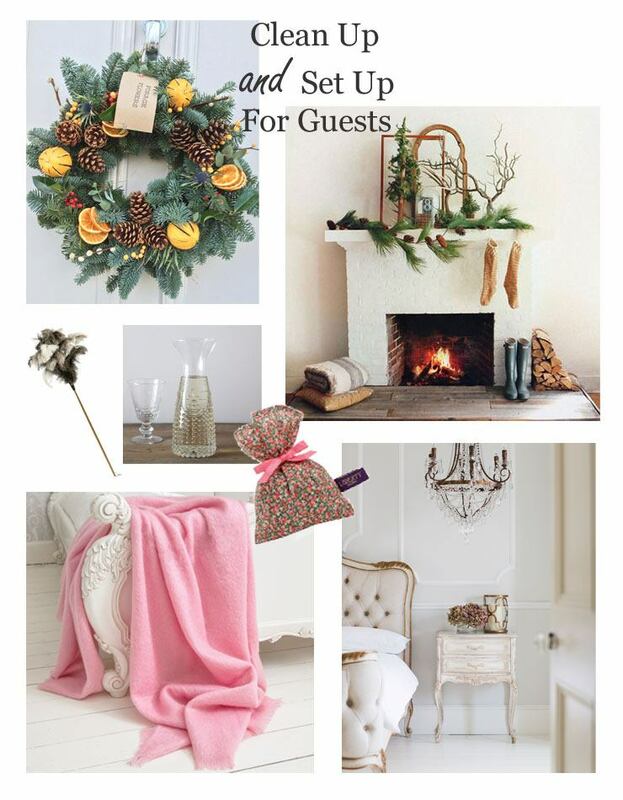 Wreath by Forage Flowers; Liberty Print Small Lavender Bag, £5.95; Long Ostrich Feather Duster, from Utility £17.95; Mohair Blanket in Rose, £80; Palais Avenue Bed, from £1880; Delphine Distressed Bedside Table, £208; Quatrefoil Hurricane Candle Holder, £48; Essence Chandelier, £585.